When I was feeling a bit rough, Carry On felt like an excellent choice for some light reading. It’s all the joy of fanfic — willing characters to get together, enjoying the riffs on the canon (in this case, Harry Potter), enjoying the commentary on the genre — with the inventiveness of original fiction as well; it’s not a copy of Harry Potter, and there are some rather clever things going on with the language, the relationships, the inner thoughts of some of the characters. Agatha is a great commentary on the Chosen One’s destined girlfriend; she opts out and goes away and we’re rather glad for her, without that icky feeling prominent in a certain subset of fanfic where the gay couple are glorified above all else and the straight love interest is vilified just for existing. Agatha has a point. Penelope is great fun, too; she’s like a combination of the best bits of both Ron and Hermione, with more of a sense of humour than either. And Baz. I never got what people saw in Draco Malfoy as a character, but Baz is great — his ambivalence about Simon, his difficulties in coming to terms with the way things actually are (because of course, he doesn’t fit the traditional story any more than Agatha or Simon do). It’s like the characters are all framed by this traditional hero’s journey narrative, and they rebel and burst out of it in all directions while the adults around them try to keep things on course (especially the Mage, but also Baz’s father and aunt, to some extent). There’s little of the pure evil type of thing going on here, no Voldemort who can be unequivocally hated. Everyone means well. There are blinded revolutionaries and turn-a-blind-eye aristocracy, and if they could only meet in the middle things would be better, but it’s not about fundamentally bad people, a fundamentally wrong cause. Simon and Baz together is just… it’s very much of a piece with Harry/Draco fanfic (which I never read, but was aware of), but it makes the two characters really fit, and their relationship seem inevitable. So yes. I enjoyed it. Again. Didn’t I just read Carry On? It’s true, I read it not that long ago, but after the US elections and various personal stresses (I have how many assignments due? ), I needed some comfort reading. Harry Potter doesn’t work for me — for one thing, I’ve never been that big a fan, and for another, I had to read the second and third books five times each in a week on a school trip, since my mother only let me take two books. Since then, and especially considering how miserable the other kids made me, I’ve rather gone off Harry Potter. My love for Carry On is totally separate to anything I feel about Harry Potter, though. I’m aware I’m in the minority there, but I only read four of the Harry Potter books, and never experienced the end of the series or got into the fandom. So I felt in the position to just love this: love the way the magic works, the way it permeates their thinking; the way Simon and Baz have always been drawn to each other; the way even their love scenes read a little bit like fighting in place. There are things I don’t love — the constant POV switching, for example. It’s particularly jarring when it happens several times in what should just be a paragraph. And I don’t love feeling like Penny, Ebb and Agatha had their own stories that needed telling, and that they came so close to being able to tell them… before being cut off by the inevitability of Simon and Baz, and Simon’s victory. Particularly in Agatha’s case. I thought the descriptions of her feelings toward Simon were great, and I’d have liked to see some closure between them. In fandom, it’s always been the female characters that suffer from people’s attempts to pair up the boys, and it’d have been nice to get a fuller picture of Agatha. Simon’s still very much the Chosen One, narratively. But these are things that could probably only be addressed by whole books that deal with these tropes, and deal with the lives of the women around Simon and the Mage. I don’t think there really was space here. Penelope Bunce still rocks the heck out of the book. And it’s still a book I enjoy very much. Ever since I heard Rowell was actually going to write this, I’ve really wanted it. 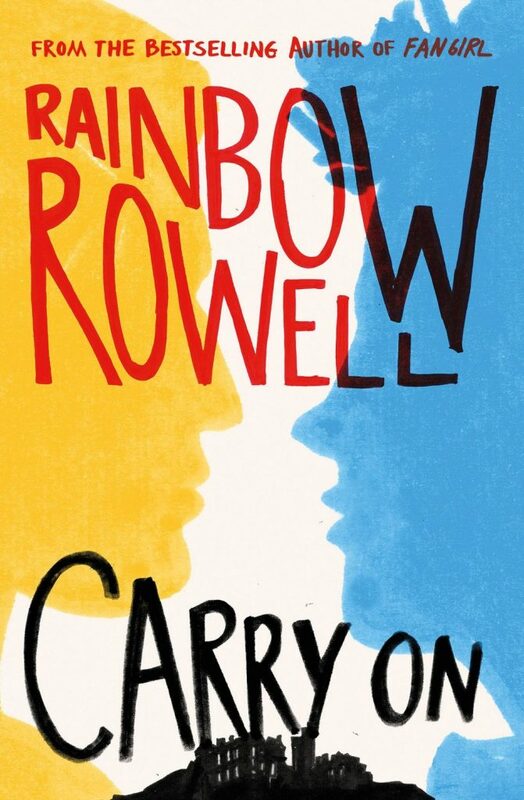 I mean, it explicitly features two boys being idiots in love, in exactly the same way as Rowell’s other books portray heterosexual couples being stupid (and sweet, and impossible, and teenage). And people were so excited about it — it seemed pretty mainstream. So that was cool. And then of course it takes an adversarial relationship a la Harry and Draco and develops it into love, which is one of my things. Did it live up to my hopes? Hell yes. I was worried about a couple of things: in Fangirl, the world of Carry On was basically created to take the place of Harry Potter. I don’t actually like Harry Potter (sorry), and I was also worried that this would just turn out to be a serial-numbers-filed-off version. That didn’t happen: I was actually impressed with the way Rowell constructed her fantasy world, especially the power of words — and the way that pervaded the whole narrative: the worst thing to do to a mage is to steal their words, and at one point Simon says something trying to make it true. Perfect. Another concern was, well, I didn’t like Draco. I thought he was slimy and cowardly. Now, Baz isn’t perfect — but he’s a worthy lead, flaws and all. He doesn’t always do the right thing, and he has opinions that we might not 100% endorse, but he’s in a difficult position and he works with what he’s got. Finally, I was worried that Simon and Baz being gay (or bisexual, or demisexual as some people suggest, in Simon’s case) would be a Big Thing. Actually, it shockingly isn’t. There are a few points where Simon isn’t sure about it, but it isn’t a Big Angsty Issue. And Rowell writes them well; I love the way Baz only calls Simon by name when they’re “being soft with each other”. It all feels pretty boyish. As for the rest, well — Penelope Bunce, guys. She’s all the great things about Hermione and Ron in one, without the annoying pettiness. And she has an amazing friendship with Simon — yes, a boy and a girl being friends in YA without complications, without romance. Hurrah! Despite the fact that Agatha got to have a voice, I didn’t feel like it was quite fair to her. She seemed fickle and cowardly, when wanting to have a life of her own was a perfectly reasonable wish, and wanting to be loved now and for herself, not as the Happy Ever After In Waiting. Still, the way it examines the tropes of the Chosen One and the Happily Ever After are welcome and interesting. I didn’t want it to be over, and I am definitely reading it again in future. This week’s theme from The Broke and the Bookish is ‘Top Ten 2014 Releases I Meant To Read But Didn’t Get To’. I probably just need to look back at my Netgalley account for this one, ha. Willful Child, Steven Erikson. A spoof on Star Trek, by Steven Erikson? Yes, please. I had this as an ARC, but… Yeah. The Mirror Empire, Kameron Hurley. I’m just hangin’ my head here, guys. Half a King, Joe Abercrombie. Uh, ditto. The Dead in their Vaulted Arches, Alan Bradley. Had an ARC. Am terrible. ’nuff said. Dreams of Gods and Monsters, Laini Taylor. I love this series. I think I might be a bit afraid to read the last book. 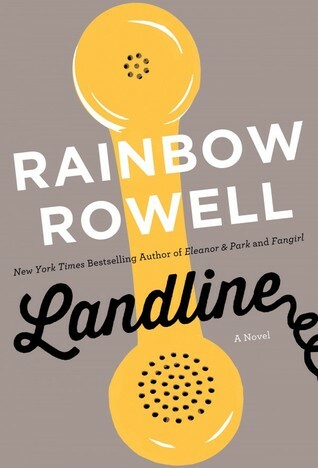 Landline, Rainbow Rowell. In fairness, I didn’t ‘discover’ Rowell’s work until Landline was already due to come out. The Girl With All The Gifts, M.R. Carey. I think I picked up a library copy of this near the start of 2014. I dread to look. Of Metal and Wishes, Sarah Fine. I’ve seen some mixed reviews, but I wanted to pick this up just from the cover… I don’t quite know why. The Falconer, Elizabeth May. I picked this up a few months ago and still haven’t got round to it. Gah. There’s just too many books, too little time, am I right? *I should perhaps at this point note that I will get round to every ARC I’ve received, though in many cases I have to order them from libraries or buy them now that they’re no longer available to download. I have some friends with reservations about Fangirl, and then there’s lots of people who think it’s the best thing since sliced bread. It took me a while to read it because of that, but I think on balance I like it a lot. The primary thing I enjoy is that it involves neuroatypical people; Cath’s anxiety, her dad’s bipolar, Wren’s potential alcoholism. It feels true to life in the way the twins grow apart and come back together, in the way university life works. I’ve totally been with Cath, eating energy bars instead of finding the cafeteria, talking to people online instead of going out and enjoying the fun. One thing that does bother me is the characters who try to drag Cath out of herself like it’s that easy. Reagan mentions medication once, but after that there’s no indication that Cath gets therapy or any kind of substantive help with her issues. She’s just kind of friended-and-boyfriended out of it to a large extent, which — I’m not going to say it’s impossible, but when I was in Cath’s position, it took medication and therapy as well as the friends. Also, Levi’s “nice guy” thing was just — ick. I mean, in many ways he seems like a genuinely nice guy, but then he admits he was doing the whole nice guy thing to try and get Cath to date him. And he wouldn’t respect her wishes about her name or letting her carry her own damn laundry, so how I’m supposed to believe he respected her about anything else, I’m not entirely sure. You’re not such a nice guy if you’re trying to be a nice guy to make a girl like you, you know? And that aspect didn’t fit with the rest of Levi, who seemed too good to be true in many ways — the kind of guy who rescues kittens from trees and helps old ladies cross the road. Anyway, most of the scenes between Levi and Cath are really well done: early awkwardness, the slow evolution of their relationship, even the misunderstandings — which normally really annoy me in romantic stories. I did feel that their relationship was real, even if Levi himself was a little too good to be true. I do still really like the way Rowell writes; it’s really easy to just settle into, nothing pretentiously getting in the way of reading it, nothing trying to be too flowery. And the excerpts of fanfiction and “Gemma Leslie”‘s work made me smile; Rowell does understand fandom, as was also clear when I went to her talk/signing, and she gets the comfort and excitement of that online community just right. 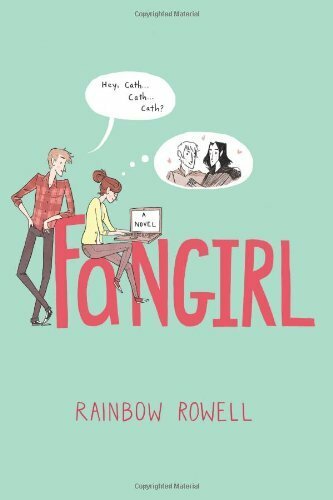 Fangirl, by Rainbow Rowell, which I mostly enjoyed with some mixed feelings, and The Sleeper and the Spindle, by Neil Gaiman, which has really beautiful art. Reviews of both will, of course, be forthcoming. The Just City, by Jo Walton. I’m about a third of the way into it now, and very engrossed, although it is driving me to want to find my old copy of The Republic and read up on what it says about art, given the art-focus of several characters. (I mean, I distinctly recall it being rather dismissive of any mimetic art, and sculpture and painting of the human form are definitely that?) Also, I keep peeking at the back for the list of who the characters were as historical figures, and poking through their Wikipedia pages. I feel rather history-deficient about some of them, and I studied Classics and Philosophy! I should get on with Mary Stewart’s Merlin books, so that’s The Hollow Hills. I’ve also got endless amounts of ARCs to catch up with, of course, so there should be something from that list — Alan Bradley, perhaps. Comics-wise, I still have Ms Marvel: No Normal and Captain Marvel: Higher, Faster, Further, More to read, so I’m sure they’re coming up soon. And the Black Widow comic, and the Kate Bishop as Hawkeye comic, and… yeah.